Grand View Lodge has always been a big place for weddings—literally and figuratively—and it’s getting even bigger, thanks to two new additions. Scheduled to open this summer is North, a 60-room boutique hotel that will push Grand View over the top as the Minnesota resort boasting the highest capacity. 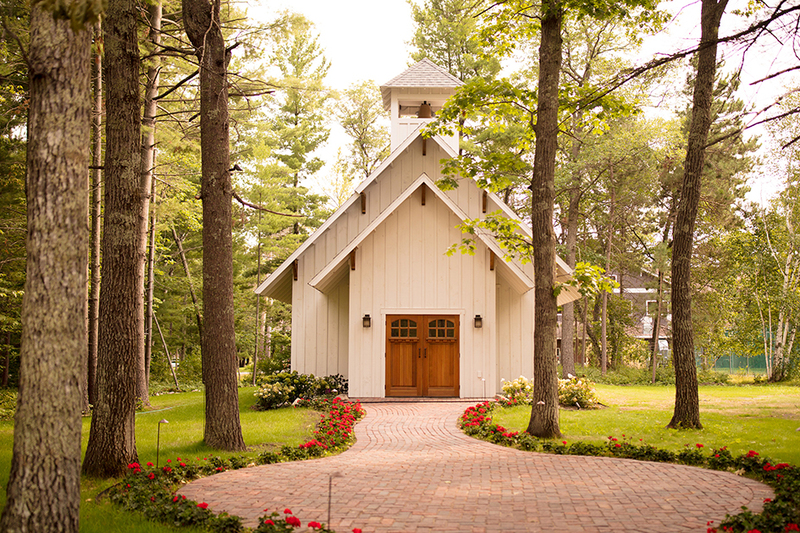 And last summer, Grand View introduced a delightful chapel for wedding ceremonies. 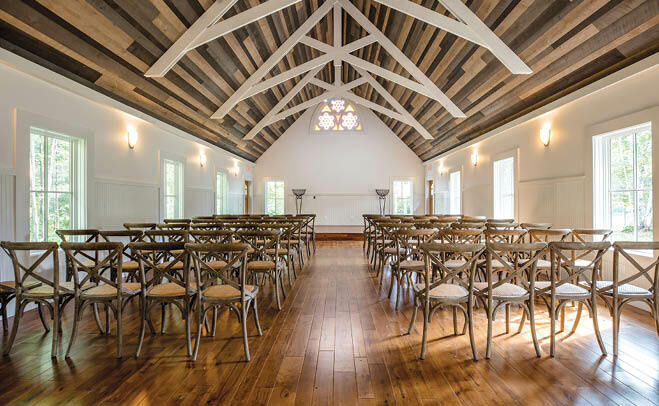 The chapel is 1,200 square feet and hosts up to 75 guests. It’s perfectly positioned for maximum views of Gull Lake, because, after all, when you have a setting this picturesque, you need to take advantage of it. The interior, with its high ceilings, giant windows and colorful stained-glass window, is equally lovely. Guests enter the chapel via a flower-lined brick walkway, so the whole experience is enchanting from start to finish—just like you want your wedding or vow renewal to be. All of this is part of the resort’s $30 million expansion, which also includes a bigger and better spa and modernized cabins.